New Husky Holiday! On May 5, (5/09) the UW Alumni Association launched its first annual 509 Day. Emails and social media encouraged alumni and friends east of the Cascades to join us in claiming purple pride. 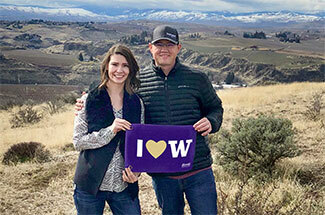 More than 1,000 UW lovers signed up to receive a complimentary UW spirit flag. So many heeded the call, we had to order more. Flags will be mailed to homes in June, and we look forward to seeing how fans put them to good use. Together, we can show the world that 509 isn’t just Coug Country! Notes from the field. Springtime travels brought the UWAA to four 509 cities for four fantastic Husky Socials. 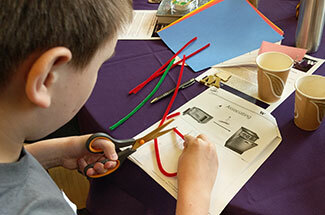 On March 21, UWAA welcomed 25 alumni to a Wenatchee gathering. The Tri-Cities Social on March 28 began with an intimate tour of the Multnomah County Museum, followed by a casual gathering at a nearby venue; 40 alumni joined us for that. 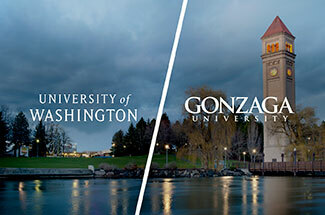 The next night, March 29, saw nearly 100 alumni gather in Spokane. 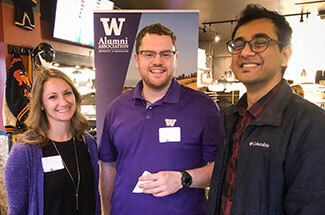 Last, but certainly not least, UWAA concluded its spring road trip tour with an April 11 visit to Yakima, where 50 alumni joined us for an evening of camaraderie. Thinking outside of the box. On April 16, CoMotion Labs @Spokane hosted an innovation pop-up event for entrepreneurs, students, tinkerers, thinkers and more. Over 50 9th graders from Innovation High School came for the day and were able to experience VR, AR and 3-D printing for the first time. They also hosted a group from Fuse Co-working space out of the Tri-Cities. Thank you to the CoMotion team for hosting a great event, traveling from Seattle and bringing speakers to share with the Spokane community. Searching for solutions together. On April 19, University of Washington Chief of Pain Medicine Dr. David J. Tauben, M.D., Res. ’82, spoke in Spokane. As the use of prescription opioid medication to relieve chronic pain grows, we find ourselves in the midst of an epidemic that is hitting especially hard in smaller communities. Dr. Tauben, a nationally renowned and often-quoted expert on this topic, shared his thoughts on the treatment of chronic pain and what patients need to know. Dr. Tauben spoke with a few first year medical students over lunch before heading off to the Historic Davenport to speak to alumni, staff and the local community. This event was presented by UWAA, the UW School of Medicine and Gonzaga University as part of the continuing Next Generation Medicine lecture series. Medicine Award winners. 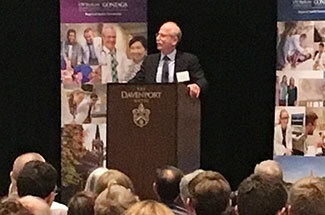 The University of Washington School of Medicine and Gonzaga University Regional Health Partnership has been recognized with the Group on Regional Medical Campuses Star of Educational Innovation Award for its promotion of humanistic skills and professional conduct in physicians by the Association of American Medical Colleges. Cicely White, a clinical assistant professor with the UW School of Medicine in Spokane, has been recognized with the Washington Permanente Teaching Excellence Award. White is also a pediatrician in Spokane Valley. Tobe Harberd, a clinical assistant professor at the UW School of Medicine, received the John Anderson Award for Outstanding Rural Health Practitioner. John McCarthy received the UW School of Medicine Alumni Service Award. He is assistant dean, Office of Rural Programs. Bruce Abbotts, Clint Hauxwell, Tim Chestnut, Zach Gallaher and Paula Silha, all UW School of Medicine–Gonzaga University Regional Health Partnership Faculty and Spokane-area doctors, are recipients of the WWAMI Pro Awards, a recognition of moments of professionalism from students.